5) In addition to needing to be placed on everything, ad agencies and Fortune 500 CMOs have found that managing the creative assets needed for implementing anything beyond a very limited QR Code-based campaign is incredibly difficult and inefficient. 6) Because anyone can make them, the user experience (UX) is incredibly varied and frequently very low engagement. 7) Consumers (especially women) do not seem inclined to use them resulting in very low click-through rates, unless it is something incredibly compelling to the target, like downloading the latest Lady GaGa song for free. 8) Because consumers do not click on codes often and UX is generally of low quality, QR Codes have entered a vicious circle where brands expect low response rate and at the same time, most end users expect low quality content. This will continue to drive usage down. The article 10 Funiest QR Code Fails showed ten different ways that marketers have failed to use QR Code. One of the fails on the list was a QR code on a tombstone. Unlike the author i actually think this was successful use of the QR code. 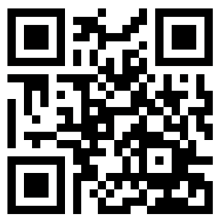 The QR code can be use to show pictures of the the deceased and their obituaries. Another successful way people can use is on their business cards when people use a QR code to put a link to the resume. I agree QR codes are dying out, I don’t remember once when I scanned a QR code but I have seen them and even made some myself for some job events. But I have never scanned one myself because simply people are lazy to open up the app scan the QR code and get the information. I rather see the information displayed or have a written link where I could learn about it more. I think the biggest issue is that there is no easy way to scan a QR code, it’s not built into phones. You have to go download an app, and that is the biggest blockade right there. Along with that, there’s very unique cases where it’s actually worthwhile to scan a QR code, most of the time the information is available without scanning. I’m not entirely convinced that QR codes ever truly reached a maturity stage or if the maturity stage was very rushed and experienced faster than expected. I think, in some ways, QR codes add value to the user and marketer, but in others, not so much. It may be easier to list a website, relying on the user to use a search engine to find it rather than load an app, wait for the code to scan and then bring the user to a browser. I think QR codes have a new-technology feel that is attractive for users and makes them feel innovative when utilizing them, but the magic is lost soon after the first scan. I like when QR codes are utilized in guerrilla marketing tactics because it provides an element of surprise upon scanning. I do not like when QR codes are used as a substitute for information that could have been displayed in a more visually-attractive manner. I really like this post! I definitely think that QR codes are dying. Personally I do not like them at all and I never have. Although more people are starting to use iPhones the majority of them do not use QR codes. Unless there is some incentive to use a QR code I will not use them. If there was some type of offer like a coupon I think that QR codes would be more successful. It’s just like any other marketing tactic, if there is no incentive the customer will not use it. I used to have the QR apps in my phone but eventually deleted it because I felt like it was just too much work like I can just google up the place name, I think the whole QR code failed. I agree with the comment above, if it’s used for coupons, people may use it more. I disagree with your point made about the majority of the population not having smartphones…as a marketer, it’s your job to determine if certain channels are appropriate for your target markets. If your target has smartphones, I would say it can’t really hurt to have something for consumers to scan as long as it 1) leads to rewarding/engaging content and 2) is unobtrusive and doesn’t hinder your overall message from being clearly heard.